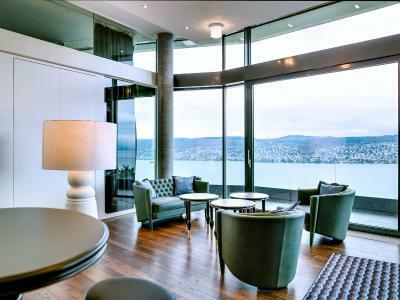 Lock in a great price for Belvoir Swiss Quality Hotel – rated 8.9 by recent guests! The view to the lake was amazing, nice breakfast and fairly ok restaurant offering. 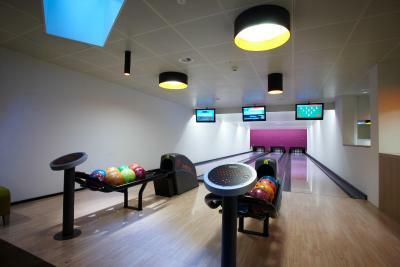 Staff were friendly and accommodating. The food was of good quality but there did seem to be a shortage of coffee if you went latish for breakfast. 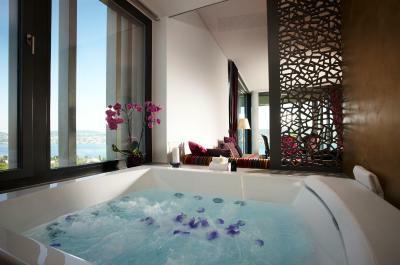 The location, cleanliness and the view from room. The staff was awesome. 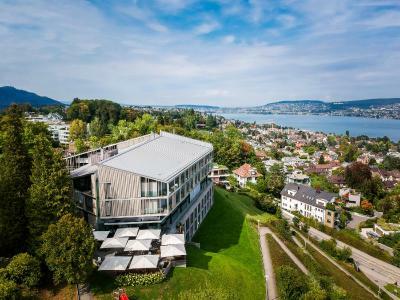 Belvoir Swiss Quality Hotel This rating is a reflection of how the property compares to the industry standard when it comes to price, facilities and services available. It's based on a self-evaluation by the property. Use this rating to help choose your stay! 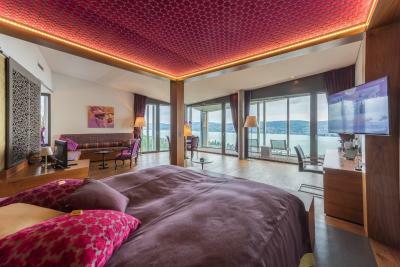 Only 1,650 feet away from Lake Zurich, this 4-star hotel in Rüschlikon features free access to the own spa area with a hot tub and sauna, a fitness center, and a bowling alley with 3 lanes. Upon availability, e-bikes and the hotel car Golf GTE can be used free of charge. Free WiFi is available. 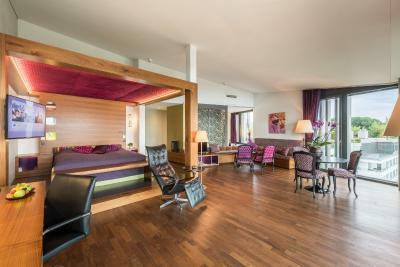 The elegant rooms at the Belvoir Swiss Quality Hotel come with a balcony or terrace, cable TV, complimentary beverages and a Nespresso coffee machine. They all have a bathroom with a separate toilet. The prayer rugs are available upon request. The Belvoir has a bar with an outdoor lounge. 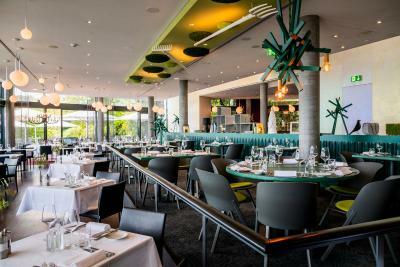 At the Belvoir Restaurant & Grill with 14 GaultMillau points they are serving modern gourmet cuisine and local specialties. 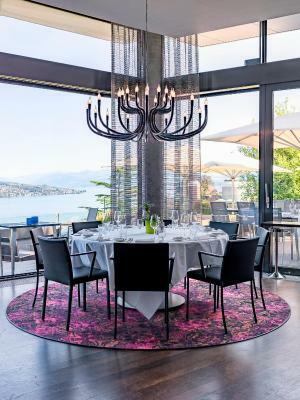 During fair weather, meals can be enjoyed on the sun terrace with a beautiful view of Lake Zurich and the mountains. 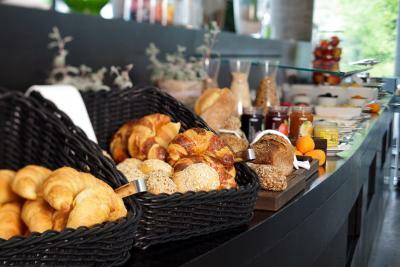 From mid-June until the end of August, the breakfast buffet also includes a variety of Arabic delicacies. 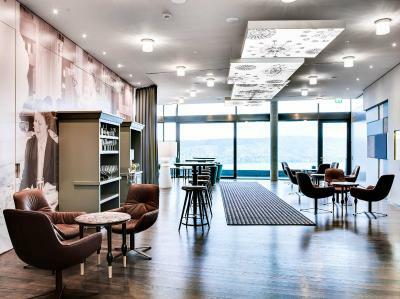 Hotel Belvoir is located 0.6 mi from Rüschlikon Train Station and only a few steps away from several bus stops. 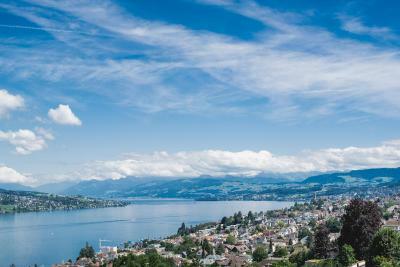 Zurich can be reached within a 15-minute drive. 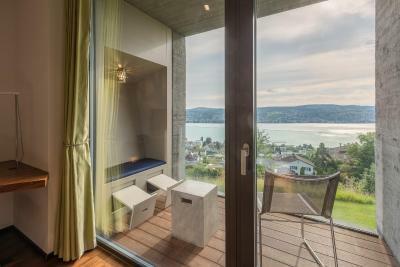 This property also has one of the top-rated locations in Rüschlikon! Guests are happier about it compared to other properties in the area. 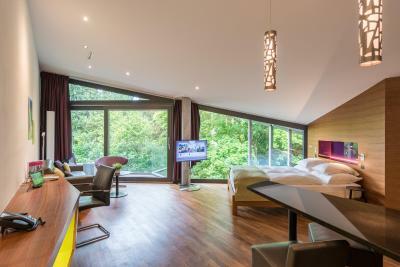 When would you like to stay at Belvoir Swiss Quality Hotel? 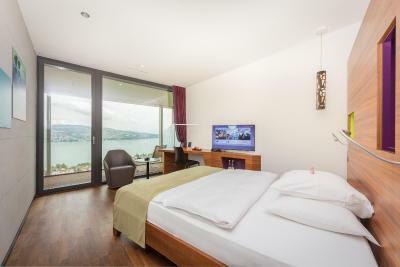 This double room on the upper floors features a balcony and panoramic lake views, a spacious shower and a separate toilet. 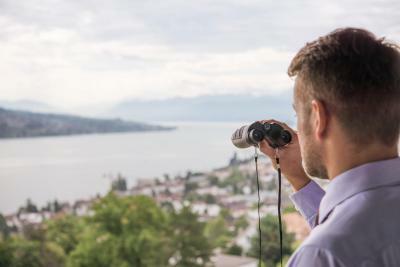 Binoculars to enjoy the view and a wellness bag are provided. 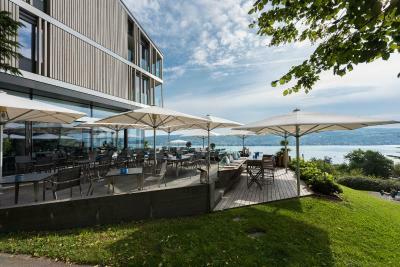 Public parking is available on site (reservation is not needed) and costs CHF 18 per day. 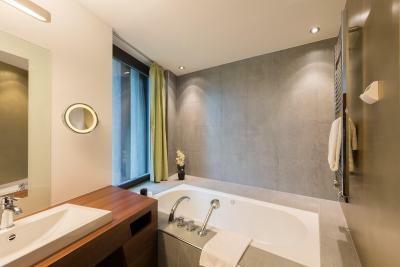 This junior suite on the upper floors features a balcony, panoramic lake views, a spa bath, a spacious shower and a separate toilet. Binoculars to enjoy the view and a wellness bag are provided. This modern family room on the upper floors features a balcony, a spacious shower and a separate toilet. A wellness bag is provided. 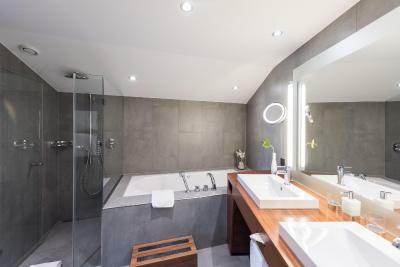 This loft features a large balcony with panoramic lake views, a double spa bath, a steam shower, a separate toilet and direct access to the spa and the fitness center. 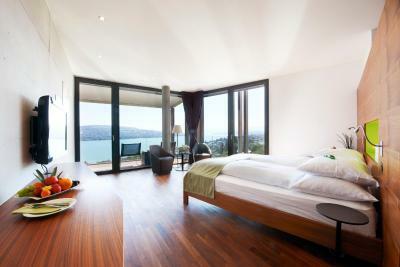 This room features lake view, a terrace or a balcony with an integrated beach chair, a spacious shower and a separate toilet. 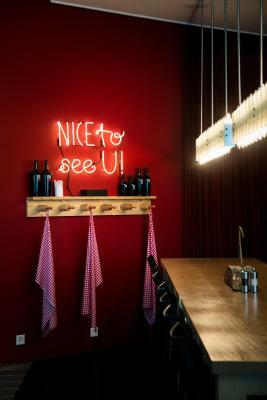 House Rules Belvoir Swiss Quality Hotel takes special requests – add in the next step! 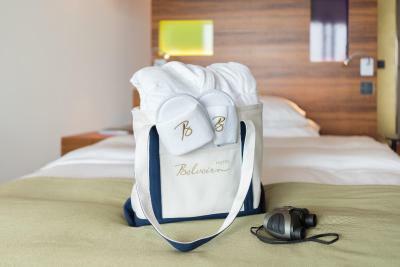 Belvoir Swiss Quality Hotel accepts these cards and reserves the right to temporarily hold an amount prior to arrival. 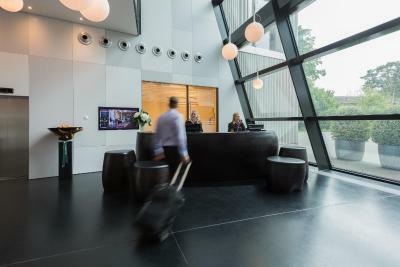 If you expect to arrive outside reception opening hours, please inform Belvoir Swiss Quality Hotel in advance. 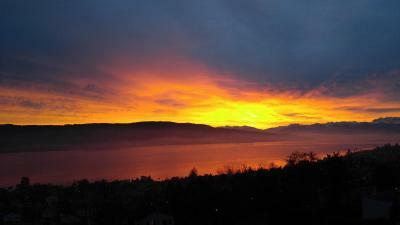 Fantastic view from the room over the lake. We have stayed at The Belvoir many times (more than 5) and we have had dinner and drinks there more than a dozen times. Each time it is a pleasure and never disappoints. The views are amazing. The rooms are so clean and comfortable. The staff is attentive and friendly. I have had several friends and family stay at the Belvoir and everyone is amazed and everyone wants to come back. Most of the locals come here too. I will continue to be a regular customer and would recommend it to anyone. The staff was VERY RUDE. They took the money off the credit card directly even if it was written “book now pay later property”. Disrespectful staff. The room was relatively small with very little room to move around. Our biggest disappointment was breakfast, we stayed there for almost two weeks and it was the same thing every single day, our kids were really getting annoyed in the small room so we had to cut our holiday short. Staffs were very gentle to our 2 year old son. View to the lake was nice! The room was compact and nicely decorated. Fabulous breakfast selection with magnificient views from both the dining and hotel room. 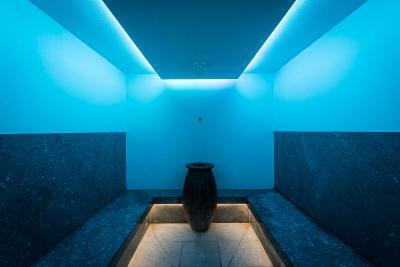 Nice wellness area with external jacuzzi. 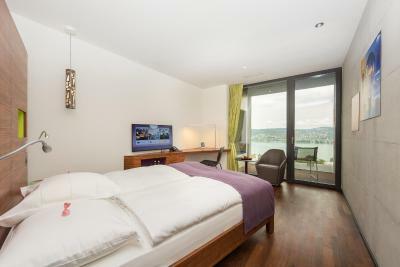 For a bit more than the price of a good but normal room in Zurich city center, we had amazing views to Zurich lake and a Junior Suite. And still we were 14 min away from the Christmas market at Zurich center. Temperature in room was too high and pillows are not comfortable (too flat), but those are minor issues. 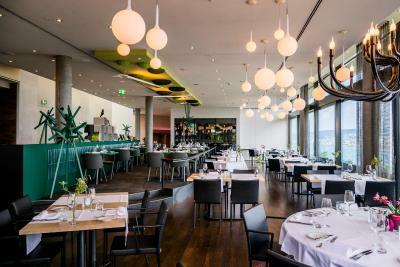 Really perfect dinner in the restaurant, very friendly personnel, great view from the room. Fanastatic view from the room , so prefers to have the room with two side window. Not cheap, like anything in Switzerland. Calm relaxing environment. Beautiful view on lake. Excellent breakfast.